How can the Midwest fix the ocean it has killed? At the bottom of the Mississippi River's journey from Lake Itasca to the Gulf of Mexico lies the world's largest dead zone. This particular dead zone at the Mississippi's mouth is a swath of ocean, big as New Jersey at its peak, that's choked for oxygen. There, native plants die. Marine animals move away, or die. The dead zone most directly harms people and industry along the Gulf Coast, but states to the north had the biggest hand in causing it. Mississippi River valley states have poured millions of dollars into restoring water and soil health in the river valley. The dead zone has only gotten bigger. Scientists know what it'll take to fix the dead zone. But the best solutions are unattainable under the status quo. Still, there are farming and conservation techniques offering hope for the oxygen-starved mouth of the Mississippi. Before we get to those, let's look at how we got here. Thirty-one states drain water into the Mississippi River through its hundreds of tributaries. The river basin is more than 1.2 million square miles in size, and a big chunk of it is farmland. All Midwestern states drain into the Mississippi. Those states have intensive agriculture, too, which uses huge amounts of fertilizer. When farmers dump fertilizer on their crops, they're also putting the nutrients nitrogen and phosphorus into the soil. Nitrogen and phosphorus wash into the watershed during rains. They also get into soil and erode into the watershed when fields drain or streams carve into their banks. Once in waterways, the nutrients become pollutants. Farmers have reduced field erosion in recent decades through precision agriculture techniques and conservation tillage, said Patrick Belmont, a watershed researcher at Utah State University. However, "they're draining the landscape like crazy," he said. "All the gains they've made in reducing soil erosion in the fields, they have entirely offset by increasing channel erosion." Increased rain under climate change makes the problem worse. 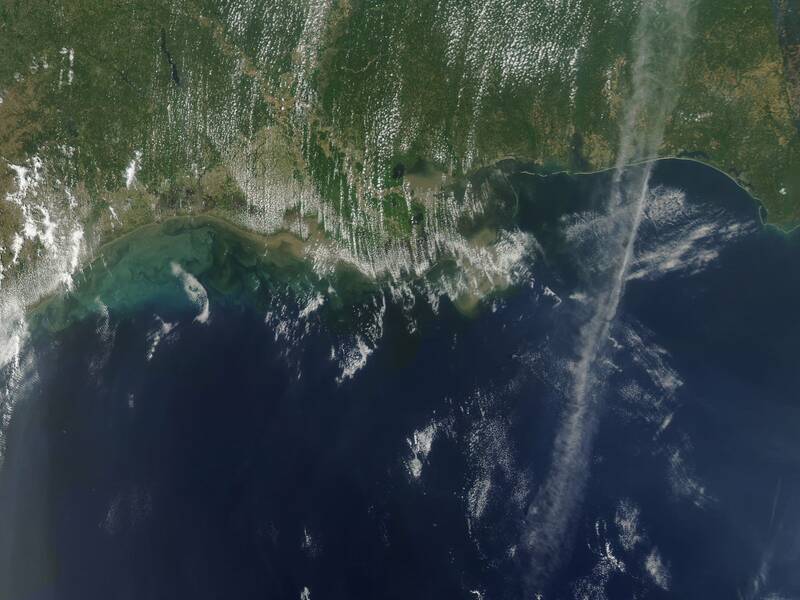 At the bottom of the Mississippi, all the excess nutrients wind up in the same spot and dump into the Gulf of Mexico. There, they form algae blooms, which demand oxygen from the Gulf's waters. The blooms grow and spread quickly, leaving native wildlife with less oxygen. Climate change exacerbates the problem as warming ocean temps make it easier for algae to grow — and take up more oxygen in the water. What's left is a dead zone. The NOAA describes it like this: "Habitats that would normally be teeming with life become, essentially, biological deserts." The best dead zone solutions are the toughest sells. They involve taking farmland out of production (land retirement) or changing its use. This is expensive, and it's a tough sell to farmers. Scientists quantified the effectiveness of common methods to curb nitrogen and phosphorus levels in 2016 study by the Center for Watershed Protection. 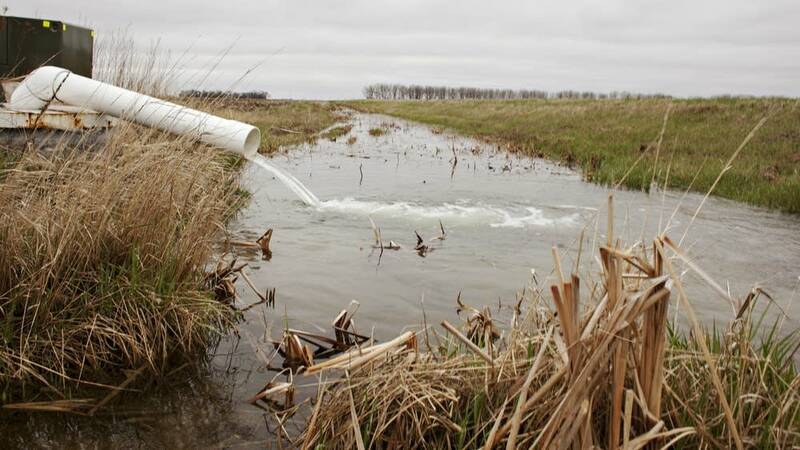 Moira McDonald, a study author, said the researchers studied three states with the most-robust nutrient reduction strategies — Illinois, Iowa and Minnesota. Across the three states, methods to manage and reduce the amount of phosphorus and nitrogen put into the soil cut the nutrient levels by up to 24 and 26 percent, respectively, the study found. Retiring land cut phosphorus levels by up to 75 percent and nitrogen levels by as much as 85 percent. Buffers — like those championed by Minnesota Gov. Mark Dayton's administration — reduced nitrogen levels by 95 percent in Minnesota, the study found. 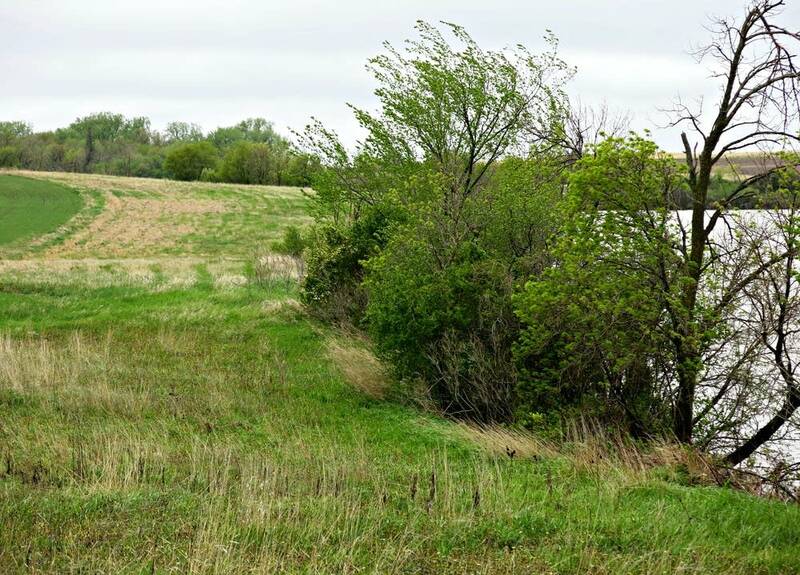 Creating buffers requires adding permanent vegetation along the sides of fields to filter runoff before it hits the watershed. But there isn't a "one-size-fits-all" approach to reducing nutrient contamination, said Roger Wolf, director of environmental programs and services for the Iowa Soybean Association. Buffers help, he said, but they're no panacea — such a thing doesn't exist. While the agricultural systems are similar up and down the river, McDonald said, science proves it's going to take time and myriad methods to reduce nutrient contamination and — eventually, over decades — the dead zone. "We learned that you can't, like apples and oranges, you can't look at [methods] all the same, McDonald said. "There is actually lots of potential to improve, but it's not going to be super fast." Taking mass acreage of farmland out of production, or converting it to wetlands or perennial crops, would cut the dead zone fastest. It would clean up waterways, too. But it's also expensive and a nonstarter for the farming community. McDonald said she thinks the best bet is to focus on how to get the most plant cover on the landscape for the longest period of time. Solutions like cover crop are an option because the rejuvenate the soil and clean out nutrients before they reach the Mississippi River. 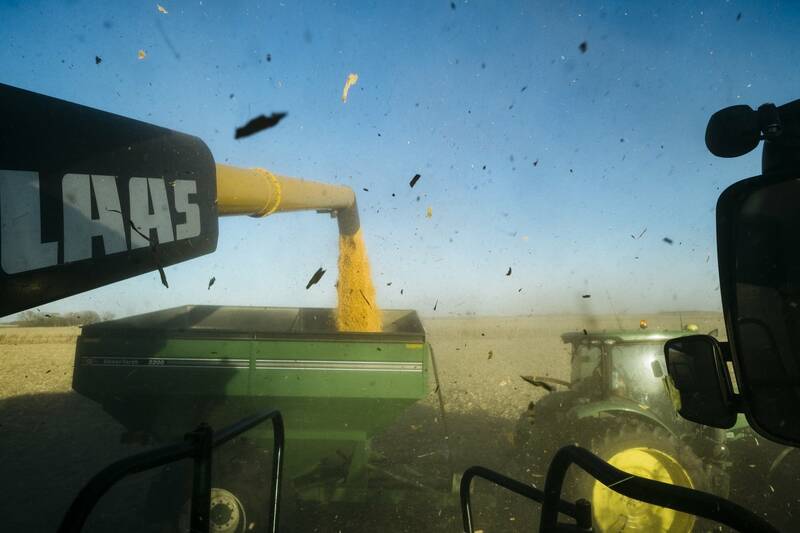 "That's the kind of practice that you can have work for both farmers and the environment," McDonald said, "because farmers are interested in improving their soil health." Editor's note (July 23, 2018): This story has been updated to clarify that the dead zone was as large as New Jersey at its peak size.